Dr.ABOUELNAGAH born in Alexandria, Egypt and did his Medical Studies at Alexandria University. He had Master Degree in Colorectal surgery 1993, FRCS Glasgow and FRCS Edinburgh 1999, Diploma in Laparoscopy from Europian Surgical Institute, Germany, August 2000, MD surgical oncology	from Alexandria Univerisity, July 2003, MBA in hospital management:, February 2010 and lastly FRCS London, Sep 2010. In 1995 he worked as a senior registrar at Jeddah, Saudi Arabia, in 1996 he became assistant lecturer at Alexandria University Surgical Oncology Unit graded up as Lecturer in 2003, assistant Prof in 2008, Professor in 2013 and head of the unit from 2014 till now. He is member of Egyptian society of surgeons, society of laparoscopy and society of surgical oncologists. He has authored over 31 articles on surgery and 3 books on this topic. Dr. Shahla Masood is a Persian-born physician, who currently holds the positions of Professor and Chair of the Department of Pathology at University of Florida College of Medicine – Jacksonville and Chief of Pathology and Laboratory Medicine at Shands Jacksonville. She is also the Director of the Pathology Residency Training Program, as well as Cytopathology and Breast Pathology Fellowship Training Program. In addition, Dr. Masood is the Medical Director of Shands Jacksonville Breast Health Center. An internationally recognized expert in breast cancer diagnosis and prognosis, Dr. Masood has fostered the concept of an integrated multidisciplinary approach in breast cancer care, research, and education. Lei Huo received her Bachelor of Medicine degree at Beijing Medical University and her PhD in Molecular Biology and Genetics at Northwestern University, Chicago. A practicing breast pathologist in MD Anderson Cancer Center, she is actively involved in clinical and translational research in the field of breast cancer. Her research interests include molecular and immunohistochemical markers in the diagnosis and treatment of breast cancer, among others. Hiroshi Kobayashi received his Ph.D. in Biochemistry from University of Tokyo in 1974. After his postdoctoral training at Colorado University Medical Center, he started to study adaptation strategies of microorganisms to acidic environments at Chiba University in 1978. His research is focused on mammalian cell functions under acidic conditions from 1996 at Graduate School of Pharmaceutical Sciences, Chiba University. He retired in March 2012 and is a professor emeritus at Chiba University after his retirement. He works as an associate editor of International Immunopharmacology published by Elsevier B.V. from 2014. A Jain has completed his PhD from Agra University, India. He was a visiting scientist at Texas A&M University. Currently he is a Professor at Albany State University, GA and program coordinator for Biotechnology program. He has received research funding from NIH, DOD and USDA. He served as Director, Center for Undergraduate Research and currently he is serving as MARC U*STAR project director. He has published more than 25 papers in reputed journals and has been serving as reviewer for six journals of international repute. He is a Clinic for Senology and Breast Surgery Certified Breast Center. Dr. Shahla Masood is a Persian-born physician, who currently holds the positions of Professor and Chair of the Department of Pathology at University of Florida College of Medicine – Jacksonville and Chief of Pathology and Laboratory Medicine at Shands Jacksonville.She is the founder and Editor-in-Chief of The Breast Journal, the founder and past president of the “International Society of Breast Pathology,” the Director of the “Annual Multidisciplinary Symposium on Breast Disease”, “The Breast Cancer Public Forum”, and is currently the President of “The World Society for Breast Health.” She has been named as one of the Top Doctors in America and one of the 20 Top Professors in Oncology at an international level. Dr. Masood is a patient advocate, a partner in community affairs and an accomplished artist and gourmet chef. Marie Wood, MD is professor of medicine, deputy director of the hematology/Oncology Division and director of the Familial Cancer Program. She is a member of the ASCO Prevention Subcommittee and Vice Chair for the CALGB/AIIiance Prevention Committee. Dr. Wood's research focuses around cancer genetics and breast cancer prevention. She has done studies on the barriers to utilization of cancer genetics by primary care providers and recent work has focused on the definition of an adequate family history for oncology professionals. Dr. Wood has received national and local funding to evaluate the link between breast density and vitamin D in women at risk for breast cancer. She is chair of a national (CALGB/AIIiance) study evaluating this effect. 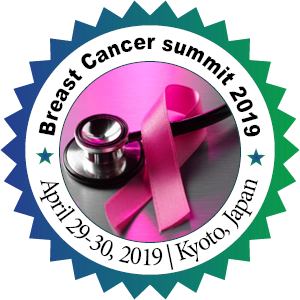 Additional studies focus on risk factors for breast cancer and chemoprevention studies of the effects of statins on breast cancer biomarkers such as breast density, various serum and tissue biomarkers. She is chair of a national (CALGB/AIIiance) study evaluating this effect. Additional studies focus on risk factors for breast cancer and chemoprevention studies of the effects of statins on breast cancer biomarkers such as breast density, various serum and tissue biomarkers. Yvone Paterson is Professor of Microbiology in the Perelman School of Medicine at the University of Pennsylvania, USA. As a Professor of Microbiology, Paterson is an active educator and trainer and is the PI of several training grants and programs. Her research is in the field of cancer vaccines where she was the first investigator to use Listeria monocytogenes, as a vector to target tumor-associated antigens to the immune system. She has pioneered the application of this organism in vaccine development for over 20 years. Her laboratory was the first to show that this bacterium could be genetically engineered to target antigens to the MHC class I pathway for antigen processing with the induction of cytotoxic T cells, the first to show that it could provide protective immunity against viral challenge and the first to apply the technology for the immunotherapy of cancer. In partnership with Advaxis Inc., a company she founded in 2002, the Listeria based technology is now in a number of clinical trials. Overall, these trials have shown that Listeria based immunotherapeutics are safe to use in humans and result in significantly prolonged survival and, in some cases, complete and partial remissions. Yvone Paterson research is in the field of cancer vaccines where she was the first investigator to use Listeria monocytogenes, as a vector to target tumor-associated antigens to the immune system. Professor Khan is Professorial Fellow at the Department of Medicine, University of Melbourne; and School of Public Health and Preventative Medicine, Monash University. She is the Director of the Rehabilitation Services at the Royal Melbourne Hospital. She completed her specialist training in Rehabilitation Medicine in 2000 and ‘Doctor of Medicine’ in 2009. She is a Representative for the Western Pacific Region WHO, ICF Research Branch; Executive member of the WHO International Disaster Committee and Task Force Lead, Committee for Rehabilitation Disaster Relief, ISPRM. She currently holds 9 international academic research appointments in Europe and US. She has a leadership role in rehabilitative care and research, and has published over 250 scientific papers (including 14 Cochrane reviews, 12 book chapters), and is invited speaker at national and international conferences (over 50 presentations in last 5 years). he has a leadership role in rehabilitative care and research, and has published over 250 scientific papers (including 14 Cochrane reviews, 12 book chapters), and is invited speaker at national and international conferences. Aysegul A. Sahin is a Professor, Department of Pathology, Division of Pathology/Lab Medicine, The University of Texas MD Anderson Cancer Center. she has done Degree-Granting Education in 1980 at University of Ankara School of Medicine, Ankara, Turkey. Aysegul A. Sahin is a Professor, Department of Pathology, Division of Pathology/Lab Medicine, The University of Texas MD Anderson Cancer Center. P Raghu Ram is amongst the few in the World to have acquired prestigious FRCS from all four Royal Colleges in British Isles (London, Edinburgh, Glasgow, Ireland) & FACS from American College of Surgeons. Having obtained First Place in MS Postgraduate Examination, he completed Subspecialty training in Breast Surgery at world renowned Centers of excellence in the UK. He is the youngest ever recipient of the International Gold Medal (2013) in the 508 years history of the Royal College of Surgeons of Edinburgh. He is the youngest ever recipient of the International Gold Medal (2013) in the 508 years history of the Royal College of Surgeons of Edinburgh. Zeina Nahleh is currently Professor of Internal Medicine and Chief of the Division of Hematology-Oncology at the Texas tech Health Sciences Center in El Paso, TX. She is also Co-Director of the Texas Tech Garbar Breast Care Center and Chairperson of the University Medical Center (UMC) Cancer Committee. DR Nahleh was previously employed as Associate Professor and Co-Leader of the Breast Cancer Multidisciplinary team at the Wayne State University- Barbara Ann Karmanos Cancer Institute, aNational Cancer Institute(NCI) - designated Cancer Center. Dr Nahleh’ s research interests, funded by the National Cancer Institute (NCI), the Cancer Prevention Institute of Texas (CPRIT) and several scientific agencies, focus on innovative treatment of breast cancer and improvingthe quality of life of cancer patients. Dr Nahleh is a principal investigator in the Southwest Oncology Group (SWOG) and a member of the NCI- Neoadjuvant and Metastatic breast committees. She is also a member of the American Society of Clinical Oncology and the American College of Physicians. Dr Nahleh has received numerous awards including the Barbara Ann Karmanos‘sHero of Breast Cancer Award, and the TTUHSC –EP Dean’s Excellence in Research Award. She has authored over 50 articles, books and book chapters in the field of cancer and breast cancer research. She has presented in major national and international cancer meetings and serves on the editorial board of numerous world -renowned medical journals. Nahleh’s research interests, funded by the National Cancer Institute (NCI), the Cancer Prevention Institute of Texas (CPRIT) and several scientific agencies, focus on innovative treatment of breast cancer and improvingthe quality of life of cancer patients. Alahari Suresh obtained his Bachelor of Science in Biology and Master of Science in Human Genetics from India in 1983 and 1986 respectively. His Ph.D. in Molecular Biology was awarded by Drexel University, Philadelphia in the year 1994. From 1994 to 1998, Dr. Alahari did a post-doctoral fellowship at the University of North Carolina at Chapel Hill. Since 1998, he has been a faculty member at the University of North Carolina and in 2004 joined the LSUHSC as Associate Professor of the Department of Biochemistry. During his tenure at the University of North Carolina, he discovered a novel protein that he termed, Nischarin. Dr. Alahari has published several papers describing the function of Nischarin. He has served on editorial review boards and study sections. In addition he availed visiting professorships at the University of Pennsylvania, Philadelphia and Rockefeller University, New York. Currently he holds endowed professorship named Fred Brazda Professorship. He has served on editorial review boards and study sections. In addition he availed visiting professorships at the University of Pennsylvania, Philadelphia and Rockefeller University, New York. Currently he holds endowed professorship named Fred Brazda Professorship. Dr. Henry Lynch established Creighton's Hereditary Cancer Prevention Clinic in 1984, an interdisciplinary clinic where families can find information and services related to all hereditary cancers. Dr. Lynch had the idea to look at cancer from a genetics perspective (he postulated that cancer could be hereditary) rather than focusing exclusively from an environmental point of view (which at the time was the only acceptable cause for cancer in the medical circles). This idea became the main focus of his research for years to come. Dr. Lynch developed what are today regarded as the cardinal principles of cancer genetics: early age of onset of the disease, specific pattern of multiple primary cancers, and Mendelian patterns of inheritance in hundreds of extended families worldwide. Dr. Lynch developed what are today regarded as the cardinal principles of cancer genetics: early age of onset of the disease, specific pattern of multiple primary cancers, and Mendelian patterns of inheritance in hundreds of extended families worldwide. Yan-gao Man holds a medical doctor degree in Western Medicine and Master degree in Cell Biology and Microbiology from China, and a PhD in Cell Biology and Anatomy from USA. He received postdoctoral training in Cancer Biology at the American National Cancer Institute. After receiving his PhD in 1998, he has authored and co-authored over 200 published scientific and 46 non-scientific articles, and received 18 research grants and 3 patent certificates. He served as the Director of Gynecologic and Breast Research Laboratory of Armed Forces Institute of Pathology and American Registry of Pathology from 1995 to 2011. Currently, he serves as the Director of Research Laboratory and International Collaboration at Bon Secours Cancer Institute. He is also the editor-in-chief of a SCI (Journal of Cancer) and four newly launched international medical journals. His main research interest focuses on the mechanism of cancer invasion and metastasis. He is the author of the world most updated theories for cancer invasion and metastasis. His theory of cancer invasion has been regarding as more compatible with existing data than the traditional theory. Among all major theories of cancer metastasis, his theory is the only one that can explain all steps of metastasis. Yan-gao Man main research interest focuses on the mechanism of cancer invasion and metastasis. Dr Azim is a Professor of Clinical Oncology and immediate past chairman of the Department of Clinical Oncology, Faculty of Medicine, Cairo University. He is the president of the Cairo Oncology Center, one of the largest private Cancer centers in the Middle East region. Dr Azim chairs the scientific committee of the NCCN Middle East chapter and is a member of numerous societies, including the ASCO, ASH, ESMO, ASTRO and the European Blood and Marrow Transplantation Society. He has been principal investigator for many multicenter clinical trials and has published more than 80 papers and he was the chief editor of 2 educational books ( ASCO – PANARAB Lymphoma Conference (1999) and the MD Anderson Cancer Centre / Cairo University joint meeting (2006). Dr Azim serves as a referee for the Annals of Oncology Journal, THE BREAST, BMC Cancer, Chemotherapy journal , Advances in Cancer Research & Treatment, Journal of the Egyptian National Cancer Institute, and the Chinese Clinical Oncology Journal. He has been principal investigator for many multicenter clinical trials and has published more than 80 papers and he was the chief editor of 2 educational books ( ASCO – PANARAB Lymphoma Conference (1999) and the MD Anderson Cancer Centre / Cairo University joint meeting (2006). Robert-Alain Toillon has completed his PhD at the age of 28 years from Lille University and postdoctoral studies from Université Libre de Bruxelles. He is the director of “Neurotrophin signaling and therapy resistance” team in INSERM U908 lab. He was hired as cell biology professor of Lille University in 2013 and published more than 30 papers in reputed journals. He was hired as cell biology professor of Lille University in 2013 and published more than 30 papers in reputed journals. Jin Cheng has completed his MD and PhD from Beijing Capital Medical University and Paris University XIII in 1986 and 1994, respectively. Following his postdoctoral training at Fox Chase Cancer Center in Philadelphia, he was recruited by Moffitt Cancer Center as an assistant professor in 1997. Currently, he is professor and interim chair of Deportment of Molecular Oncology at Moffitt Cancer Center. He has published more than 130 papers in highly respected journals and has been serving as an editorial board member of in several journals. He has published more than 130 papers in highly respected journals and has been serving as an editorial board member of in several journals. Dr. Kumar received his Ph.D. degree in Neuro-toxicology and is currently a Professor of Biochemistry at The Commonwealth Medical College, Scranton, PA, USA. Dr. Kumar’s research area is focused on the therapeutic targeting of the steroid receptors (SRs) for endocrine-related cancers. Currently, his laboratory is working on a novel therapeutic strategy that could provide cell/tissue-specific target gene regulations in current SHR-based endocrine therapies. In addition to more than 100 publications to his credit, Dr. Kumar has also served as Editorial Board member of more than two-dozen scientific journals, and as expert reviewer on more than two-dozen grant review panels. Currently, his laboratory is working on a novel therapeutic strategy that could provide cell/tissue-specific target gene regulations in current SHR-based endocrine therapies. Merdan Fayda is an associate professor at Istanbul University, Institute of Oncology, Dept. Of Radiation Oncology. He has been working in the field of radiation oncology since 1999, when he began his education at Istanbul University‘s Institute of Oncology Dept. of Radiation Oncology. Since then, Dr. Fayda has been involved with the Italian Hospital Dept. of Radiation Oncology, Gulhane Military Medical Academy, Dept. of Radiation Oncology, Kocaeli University Faculty of Medicine, Department of Radiation Oncology, and his current affiliation with Istanbul University Institute of Oncology, Department of Radiation Oncology. Dr. Fayda is a member of the Turkish Society of Radiation Oncology, ASTRO and ESTRO. He has several publications which include his thesis on Patient and treatment related factors affecting locoregional recurrence after post-mastectomy adjuvant radiotherapy’, Axillary versus sentinel-lymph-node dissection for micrometastatic breast cancer and his most recent publication of The diagnostic, predictive, and prognostic role of serum epithelial cell adhesion molecule (EpCAM) and vascular cell adhesion molecule-1 (VCAM-1) levels in breast cancer. Professor Weightman is an experimental physicist with a track record in developing novel instruments. He was a co-applicant on the proposal to construct the ALICE machine which is an energy recovery linear accelerator, the first of its kind in Europe and the only one in the world equipped with a terahertz beamline designed for studies of cancer. ALICE is now operational and Weightman is leading a collaborative programme involving academic scientists and clinicians in exploiting the potential of ALICE for cancer research. Weightman is leading a collaborative programme involving academic scientists and clinicians in exploiting the potential of ALICE for cancer research.